Our clients come from all walks of life ranging from the local service busness to large corporates and we welcome all. Design is just one element of our services, we want to know about your business sector and who is your competition and where you want your businiess to be in 2-3 years. With this information we can gather a better understanding of the business and help in the overall marketing strategy of a business. Our focus with marketing campaigns: if it works, roll it out harder to gain better returns on the hard earned pound. If the campaign produces low results - go back to the drawing board. With over 500 clients on our books, it would be difficult to feature them all, but here are a few of our star clients and we apologise if we missed you! We support various sites with local marketing campaigns which are not supported by central marketing. Our services include POS, local door drops, advertising, direct mail and PR. As with Budgens, we support various sites with local marketing campaigns which are not supported by central marketing. Our services include POS, local door drops, advertising, direct mail and PR. Stream UK provides businesses worldwide with reliable, enterprise-level tools to manage and distribute multimedia content over the internet. We support our client with graphic design both online and offline, exhibition displays and national advertising. The Clear Sky team have been working in the travel industry for over 20 years, working with some of the biggest names in the holiday and 'glamping' industry. 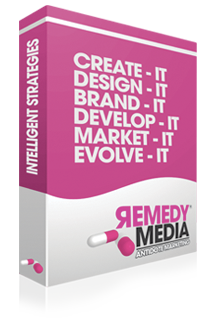 Remedy Media supports Clear Sky with national advertising, SEO, website design, branding, direct mail, e-broadcasting and graphic design. Travel Designers offer their clients bespoke holidays, typically in the Indian Ocean area. We assist Travel Designers with branding, web advertising, local advertising, direct mail, brochure design and exhibition design. With many international clients our client opts to use a UK based design agency. We support our client in both English and Polish e-broadcasting, POS, graphic design, SEO and menu design. Selling gadgets via the web, Paramount Zone is one of the UK's leaders in the gadget retail sector. We support our client with brochure design and email design. Our client offers internships to European Students ranging from 1 week to 6 months. We have developed a bespoke CRM written in PHP and MySQL, website design, brochure design and SEO. Acappella Heaven is an online audio library for producers and songwriters which has produced many hits worldwide. We have developed a bespoke CRM, CMS, website, SEO, branding and marketing collateral. Our client has an estate of 6 pharmacies across south London. We support them in POS, mailshots & brochure designs.